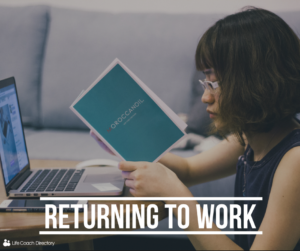 We explore the topic of career breaks and returning to work with Executive coach Kenza Mekouar. Finding a career you enjoy can in itself be challenging, but what happens when you (for whatever reason) need to take a career break? For some women, having children and caring for their family brings with it a pause on their career. Returning to work after a break like this can be challenging. Here we ask Executive coach and Life Coach Directory member, Kenza Mekouar a few questions to find out how coaching can help. What are the common challenges people face when returning to work after a career break? Following a career break, women often start with a negative mindset: low self confidence and self belief, lower salary expectations than before their career break and a broad and general anxiety over their past experiences. In addition, new personal commitments mean women may prefer jobs with flexible hours, and that adds another layer of challenge in a marketplace that is already very competitive. How do women overcome these? There are so many examples of women who have successfully returned to work after years of caring for their family. For some women looking to re-enter the workforce, a full-time, stable job with benefits is the only path back. For others, re-entry needs to involve part-time, home- or project-based work. You need to find what works for you and then get family life organised: schools, au pairs, schools minders and all of that admin, so that you can focus on your professional goals. Clarifying objectives/aims as to why you want to go back to work is also important: is it it part of a long-term plan? Is it to get active in a meaningful way? or to explore new paths such as entrepreneurship for example? Volunteering is a great first step before full-time work. Giving time to a cause you care about makes you feel good and also allows you to use your professional skills in a different capacity. Volunteering is especially important during times of transition because it shows future employers that you are ambitious and hardworking. Socialising and networking: Informing friends and family that you are returning to work will spread the work and make you commit even more to your goal. What advice would you give someone returning to work, but in a different role/industry? To try to answer clearly questions such as: What do you want to achieve and why the change? What do you want to see different in your life once you change? 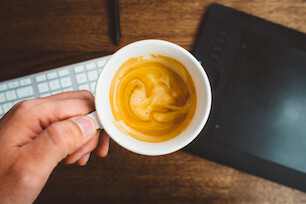 To identify your unique skills/strengths and top values and realise that you probably possess many transferable skills, you just need to find out which ones. Help you explore your “hidden talents”, map out your strengths and understand the best way to put them to use on the market. Help you examine and perhaps re-construct, your understanding of which job would be a perfect fit given all the opportunities. Help explore what are your non-negotiable values that define how you would work and advance your career efficiently. Elaborate a search strategy. Given your values, work ethics, talent, strengths and resources, how do you want to shape your career? Articulating your unique offering and value to the market (CV editing). Defining a search strategy: Identify and strategise target companies, self-marketing and networking strategies: to organise and utilise contacts, friends, and colleagues for job leads and introductions. Improving a social media profile (Linkedin/Twitter). Have you returned to work after a career break? Share your story in the comments below!